Celebrating Matariki at Aurere with Matua Hekenukumai Busby at a fundraising dinner in his honour to support the building of his Whare Wānanga. Looking back, I see how far we have come. 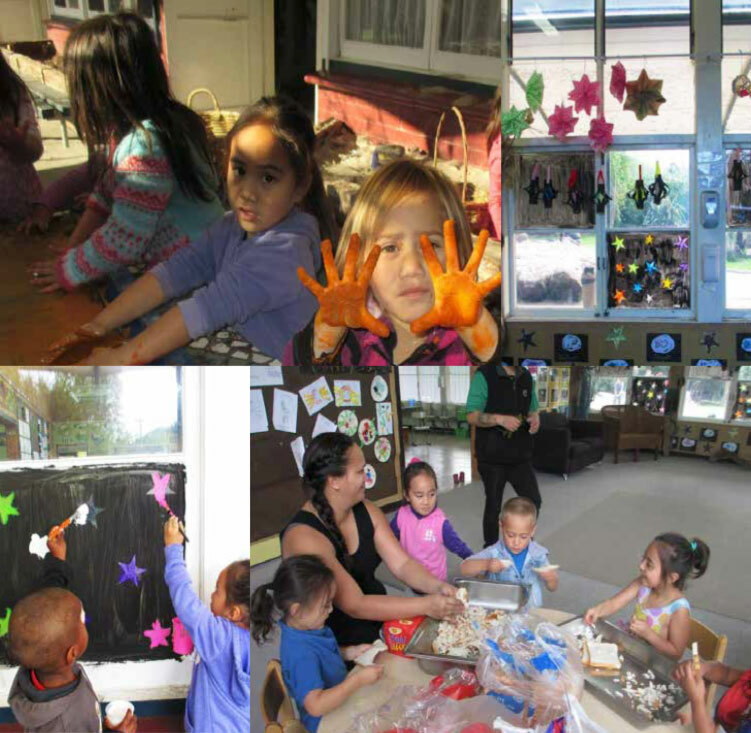 In 2001, we opened our first Mokopuna Early Childhood Centre in Whangarei and now we have five. In 2010, we marched-in the first intake for the Leadership Academy Of A Company and now there are six. We opened our senior Kura, ‘Paerangi’ in 2014, our junior Kura ‘Paenuku’ in 2015 and our middle Kura ‘Paetawhiti’ this year. term two. It never came. So enjoy this our Term 2 news-sheet, now called “Ngā Whetū”. It briefly covers a few of the many important events, activities, learnings and people that have graced our three Kura and our Mokopuna Centres over the past 11 weeks. Looking forward, Term 3 and Term 4, will be dedicated to Kia Mātau pou for Paerangi. 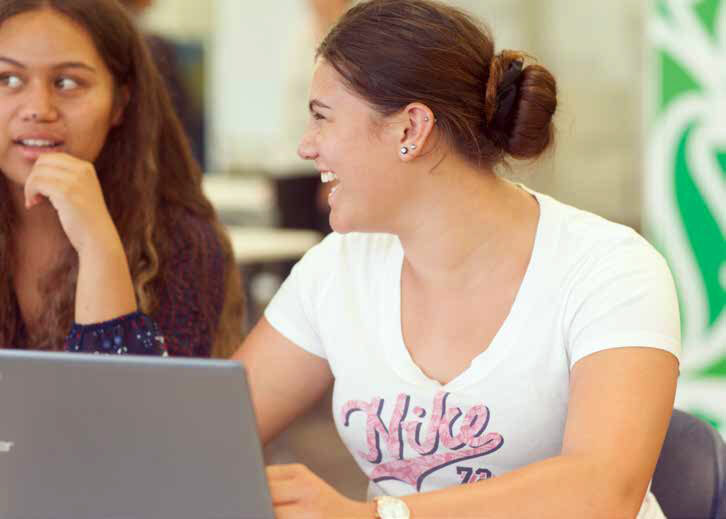 With officially, only 12 weeks of Kura left for class, it is hugely important that ākonga be at Kura and finish assignments/assessments to maximise their ability to close the NCEA year strongly. For Paetawhiti and Paenuku, many opportunities will be available across our three pou, to build upon their learning to date. Lastly, today we also launch our new programme initiative “Cadet Forces – A Company” to support our Year 10 and 11 ākonga achieve and design future pathways for themselves. Join with us to celebrate our journey so far and seek far horizons as we continue to “Navigate Māori Futures”. 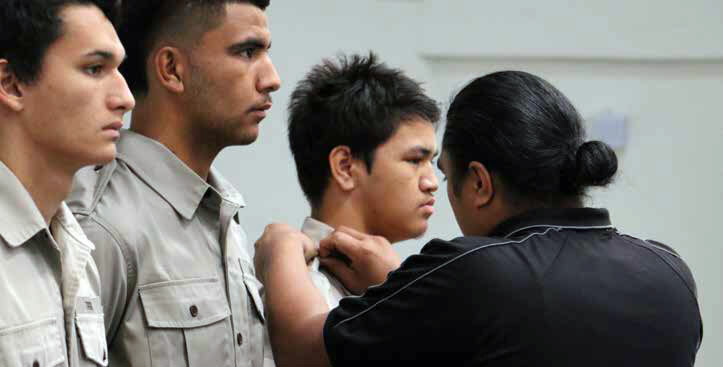 Uiui noa ana, rapurapu kau ana, kua ngaro aku manu tiotio i te ata. Haere atu a kourua ko tō tama a Waata, haere, haere, haere oti atu i runga i te rangimarie. Māori o Aotearoa me ērā atu tūranga teitei puta noa i te Ao Māori me te kāwanatanga. warewaretia, ka pupuri tonu mātau i ō kourua wairua i roto i ō mātau hinengaro. Matua Telly recalls a man that when he spoke, you listened. Such was the awe in which Charlie Petera was held. “Te ihi o te kōrero. He had it,” Matua Telly says. “When he spoke you listened and you understood he was talking from deep down inside. Matua Charlie passed away on June 10. The last surviving member of the A Company of 28 (Māori) Battalion (the gumdiggers) he was also the patron of the Leadership Academy. 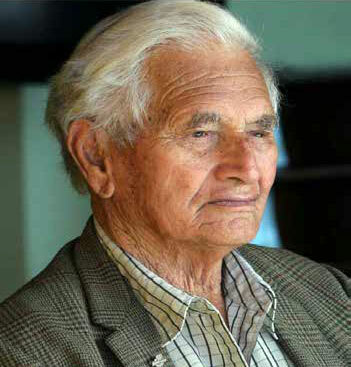 He was 92 and proudly Ngāti Kuri. Private Petera was a wireless operator who communicated intelligence in Māori during the North Africa and Italian campaigns of 1941-45. He told the Listener magazine in 2007 that at 19 he lied about his age so he could get into the army. front. I could see him quite clearly. He was unarmed, he’d given up. He was as young as I was, and I saw tears running from his eyes. “The order that night was shoot to kill, but I couldn’t do it. Kill a defenceless man? I could not. He was taken away and the order was carried out by someone else. “He didn’t want a memorial out of stone, but out of people and that’s exactly what has happened with the Academy; it’s a legacy to people like Charlie. “These guys [the current Academy boys] are lucky. They’ve seen the man. The future generations can only say they’ve heard of him [Matua Charlie]. “Māori have a saying: e ki te au tangata rongoa – I’ve seen and I’ve heard him. Sadly the future generation academy boys will only be able to say e tangata rongoa au, which means I’ve heard about him,” says Matua Telly. 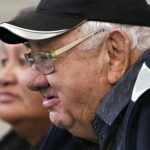 Part of his legacy was establishing the Leadership Academy’s name and tohu with Matua Sol following a process of consultation. “He fought for that name [The Leadership Academy of A Company of the 28th Māori Battalion] and blessed it. “Their actions mean the world to us,” he said. Matua Telly also paid tribute to former Māori Council Chair, Sir Graham Latimer, who passed away just before Matua Charlie. A group from the Kura attended Sir Graham’s tangi with a government delegation. Matua Telly said Sir Graham was one of the very first to support the establishment of the Kura. 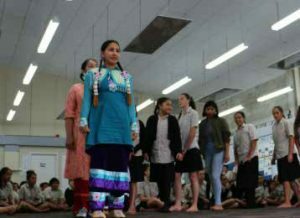 Aotea Parata (le ), Grace Barry (middle) and Hineira Tipene-Komene (right). Three Te Kāpehu Whetū students have been chosen as ambassadors as part of the Rotary Youth Exchange programme. Te Kāpehu Whetū Head Boy Aotea Parata (17), and fellow senior leaders Hineira Komene (17) and Grace Barry (17) are part of a national contingent of successful recipients announced on May 7 who will represent New Zealand in a number of overseas destinations next year. Aotea will be based in Brazil for 12 months; Hineira in Switzerland; and Grace in Norway. Aotea said experiencing Brazil was something he’d long dreamed about. “I’ve had the chance to travel quite a bit through sports and my kura and when the opportunity came along to apply to the Rotary Youth Exchange programme I thought if I got selected one of the places I’d love to go is Brazil to experience its people, culture and lifestyle,” said Aotea. Hineira said her first choice country she asked for was Canada to learn and study indigenous cultures and language. She said she would be able to apply the same philosophy in Switzerland. “Though culture and indigeneity don’t rate highly in the popular perceptions of Switzerland as the likes of tennis players and European power countries, it would be nice to tap into those ethnic roots to uncover another side that makes this country unique,” said Hineira. Like her fellow students, Grace is both excited and anxious. 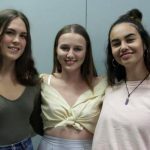 “You kind of don’t know what to expect, but we spoke to one of our mates on Facebook recently whose on an exchange in Chile and he basically told us we’d be alright because we have a good understanding of who we are and as a people, Māori are not afraid to embrace cultural differences,” she said. The Rotary programme has been running since 1929. The new recruits being badged in. During the third week of the term a selection course was held for potential new cadets and eight boys were badged into the Leadership Academy of A Company on May 23. Badging is a special ceremony for new cadets, as well as a chance to celebrate the occasion with whānau and an introduction to the Leadership Academy. Lehi Smith, Levi Tatana, Kiritopa Allen, Paora Allen, Cree Davis, Henare Herbert-Hemara, Hayden Yates and Heemi Rihari were badged as the newest recruits to the Leadership Academy. Paora said he didn’t feel any added pressure, but fully understands the legacy he has to live up to. “There’s a lot of mana on your shoulders because we’re the forefront of the Māori Battalion,” said Paora. He said he’s enjoying the experience of being a role model within the Kura. “It’s exciting to have a lot of responsibility because when you get in those pressure moments you start to grow,” he said. The head of the Leadership Academy, Staff Luke Aekins, said the months of April and May were poignant moments in the lives of the A Company soldiers and it made sense to run a selection course then. “It’s important to remind ākonga about events like the battle at Maleme where the Māori Battalion led by A Company, suffered significant losses holding the Germans at bay while the Allied forces made their exit,” said Staff Luke. On May 27 the Academy named and opened the training gymnasium next to Maumahara, “Forty Second Street,” after the site of a valiant rear guard action by the Māori Battalion which helped the Allied forces withdraw across Crete’s mountains to the southern coast, from where they could escape to Egypt. It’s also the place where Capt Harding Leaf fell. Some of our ākonga involved in the photoshoot. 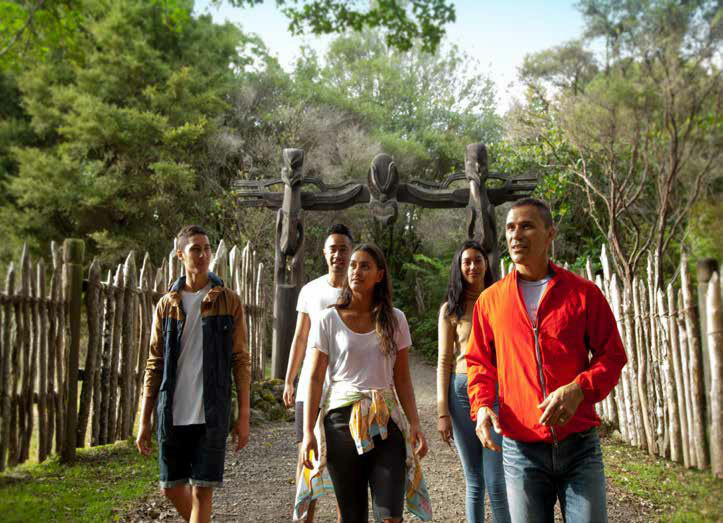 The North’s major tourism and economic development promoter, Northland Inc, presented the Kura with a series of photos from its promotional photoshoot with Rangatahi Inc earlier this year. On May 9 Northland Inc’s Chief Executive Officer, David Wilson, and some of his staff presented the photos to the Kura saying the ākonga who participated in the photoshoot brought a sense of authenticity to the project. The photographer, Sara Orme, widely regarded as New Zealand’s pre-eminent photographer of people, agreed with David. “As a photographer I have worked on both small and large campaigns for many brands. The word authenticity regularly comes up. Working with Northland Inc and the wonderful students from Rangatahi Inc was a collaborative experience for me as well,” said Sara. “Authenticity comes from the heart and soul of people who live in their own land. It is these people who can guide us and help make the best decisions. The students offered insight and love for a land that is unique from a brand perspective. One of the ākonga who took part in the photoshoot, Maia Mokaraka, said it felt authentic and natural. The photoshoot took place at different locations including the Waitangi Treaty Grounds, Paihia and Ruapekapeka Pa. The images from the photo shoot will be used to promote Northland in visitor guides. 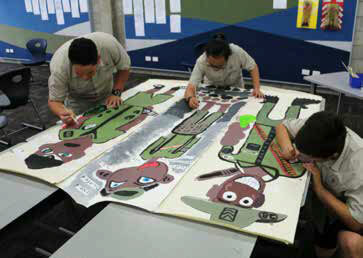 They will also be promoted to international media and used in trade shows off shore and in New Zealand. 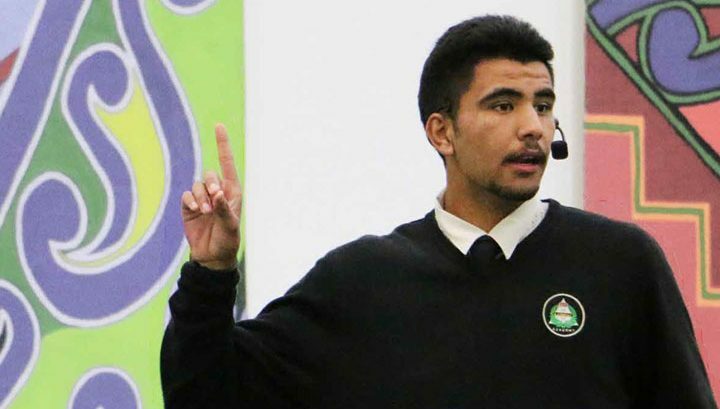 The Kura enjoyed success at this year’s Ngā Whakataetae A Rohe Mo Ngā Manu Kōrero speech competition a fortnight ago (8 June). 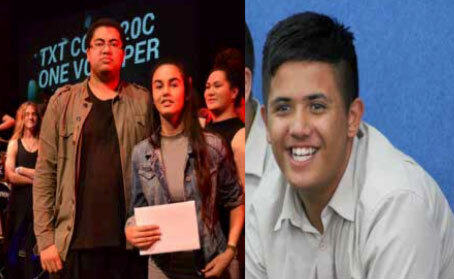 Paora Allen (pictured on the front page) came first in the Korimako section (senior English) of the competition winning the Helen-Ani Rose Memorial Trophy. Hineira Tipene-Komene, second, in the Tā Himi Henare section (bilingual) picking up the Kahutiaterangi Waititi Taonga. Kiritopa Allen came third in the Pei Te Hurunui Jones section (senior Maori). In all the Kura had five speakers represented in the various categories with Huiamoana Shortland entered in the Ta Turi Kara section, and Hendrix Hura in the Rāwhiti Ihaka part of the competition. The Rangatahi Inc delegation proudly displays their tāonga from the awards evening. 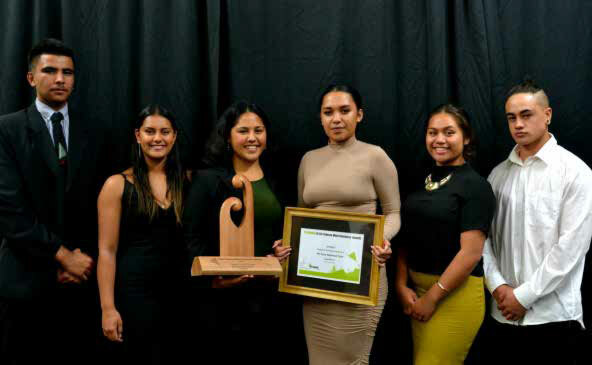 The Rangatahi Inc initiative was recognised recently winning the Rangatahi Development Award at the Te Tai Tokerau Māori Business Awards in Whangarei on Friday, May 27. 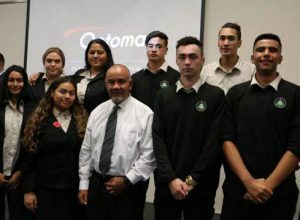 Pouwhakarae Raewyn Tipene said the win was a significant achievement for the Rangatahi Inc ākonga – the Kura’s business studies students – as well as the wider Kura environs. “That comes from having a strong sense of identity, encouragement to achieve and be educated, as well as having good leadership and being leaders. Rangatahi Inc started off as a platform from which local business could work collaboratively with young people and develop their ideas and initiatives. The idea was to ensure our entrepreneurs of tomorrow worked with those who had been there and done that. Rangatahi Inc has evolved quickly into a launching pad for young business entrepreneurs. This year’s students will unveil their plans for a specialist café in November that produces great tasting, natural and organic beverages and meals. “Through Rangatahi Inc and key supporters in the wider community we have built some valuable and collaborative relationships with people who want to see our young Māori people succeed. We want to extend that relationship across the wider Kura environment because research suggests the key to innovative and creative thinking is working with one another, not against each other,” said Raewyn. One of the ākonga involved with Rangatahi Inc, Ari Paraha, said winning the Rangatahi Development Award was special. 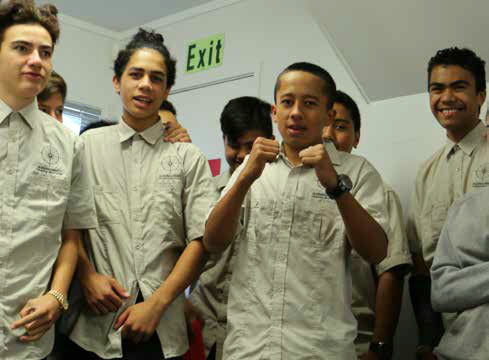 “We’ve had massive encouragement from our teachers and Whaea Rae to work hard and seek success. That was one of my take aways from Friday night: success breeds success. So last year’s students set the platform and it’s up to us to raise the bar for future Rangatahi Inc ākonga,” said Ari. Taylah May Tipene and Zeran Mackie sor ng koha for the local homeless. Our exuberant and noisy Paetawhiti ākonga have slowly turned the blank canvas of Tapatoru into an explosion of colour and sound. 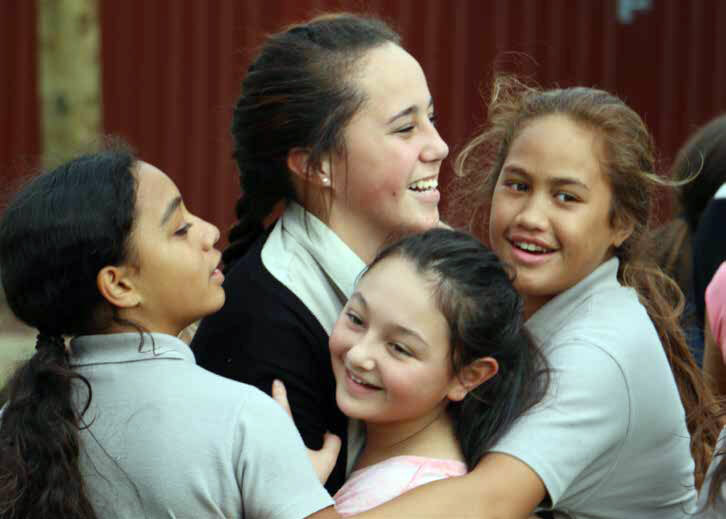 Throughout the term they have delighted us with their kapahaka, their competitiveness and their energy for learning. Major learning themes have been the history of the 28 (Māori) Battalion and Generational Poverty and Homelessness. Tending to the images of their tūpuna. Our ākonga studied the history of the Pioneer Battalion (World War I) and the 28 (Māori) Battalion this term. A special focus was on the 75th commemoration of the Battle of Crete where the Battalion and other NZ troops suffered heavy losses in a tough introduction to modern warfare meeting the challenge with discipline, skill and courage. 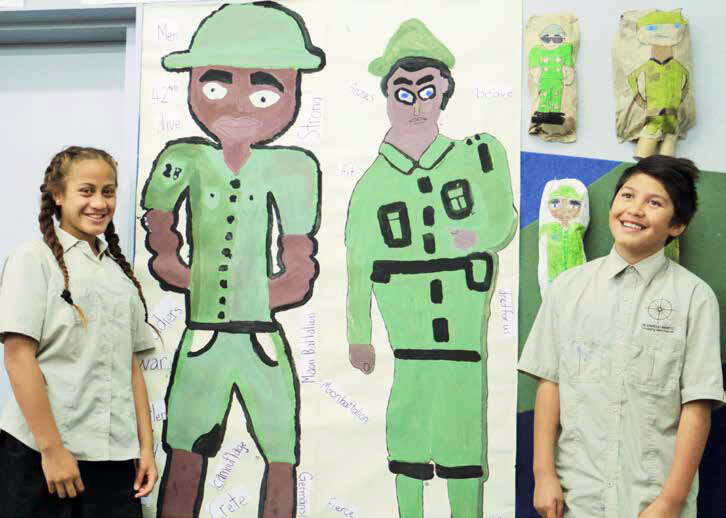 The culmination of their mahi this term led to entries into the Ngārimu Media Challenge, an opportunity for our ākonga to use tools of the 21st century to explore the contributions and sacrifices of the legendary Battalion and Second Lieutenant Te Moananui a Kiwa Ngārimu. They chose to tell their stories through artwork, speech, video, writing and song. Their reverence and aroha throughout this journey is encapsulated in the following words and images. Ake, āke kia kaha e.
Our ākonga celebrated Matariki both at kura and, for our lucky senior ākonga from Mangaroa and Tawera, this included a trip to a Matariki Ki O Rahi tournament in Taipa. The first part of the trip was a wānanga with Master Star Navigator, Matua Hekenukumai Busby at Aurere. Our Paenuku ākonga learned the whakapapa/atuatanga of the tākaro, Ki O Rahi, prior to attending the tournament in Taipa. A large team game played between two teams, Kioma and Taniwha, on a large circular field. Ki O Rahi is played for four quarters or two halves with a set time with teams alternating roles at half or quarter time. Our ākonga performed outstandingly at the Ki O Rahi Tournament in Taipa last week with Tawera placing second and Mangaroa placing third out of 41 Teams. Ka rawe tamariki ma! 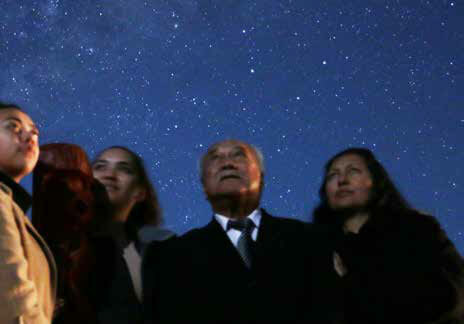 What a fabulous day (June 23) we had followed by an equally fabulous night for our Matariki celebration. Preparations for our annual Matariki Whānau Hui began a while back but our whānau took over the reins during the week by organising our kai for the evening. And by jingoes what an outstanding job they did! We are so lucky to have such supportive and amazing whānau. When the time came for us to ask for awhi they turned up in force, and this is exactly how it should be for a place that teaches and instills good values. Our tamariki watch and learn from the behaviour modelled by their whānau and you can’t go wrong when they observe the hangi process from beginning to end. We shouldn’t skite but it’s clear we have the best examples of good parenting in our midst. 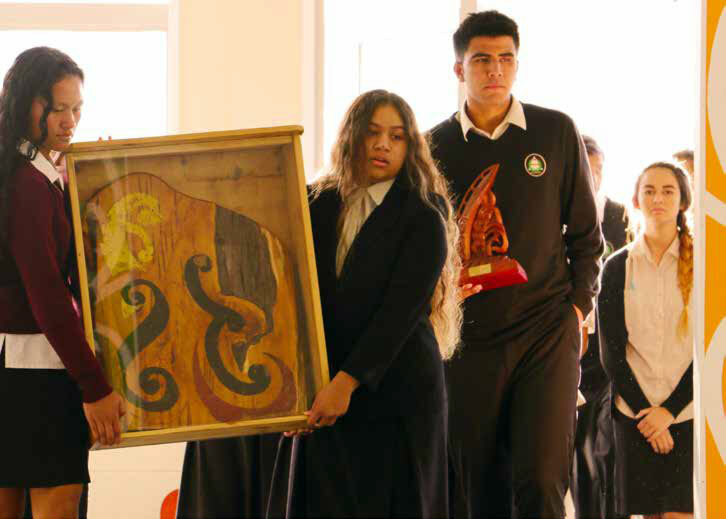 A huge mihi to Te Kura Kauapapa Māori o Taumārere wharekura students for their display of pumanawa (natural talent), the short film about the origins of Matariki, and who also cooked the never ending supply of fried bread. A massive mihi especially to our whānau who couldn’t make the evening but nevertheless contributed hard out to the mahi prior to the hui. 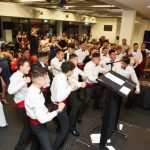 Even with 15 of our tamariki and their whānau unable to attend we can guarantee that they still had a part to play in the evening’s success. And finally to our tamariki, our very own stars, it’s such an honour to be part of your world and we’re lucky your whānau chose to include us in your ongoing learning and development. One of the other highlights is the addition of Jo-Dean Sullivan to our teaching staff. Jo-Dean is from the Sullivan whānau from Ngāti Manu and the Tahere whānau from Ngāti Tautahi. Nā Elieen Ramach, Mokopuna o Moerewa ECEC. 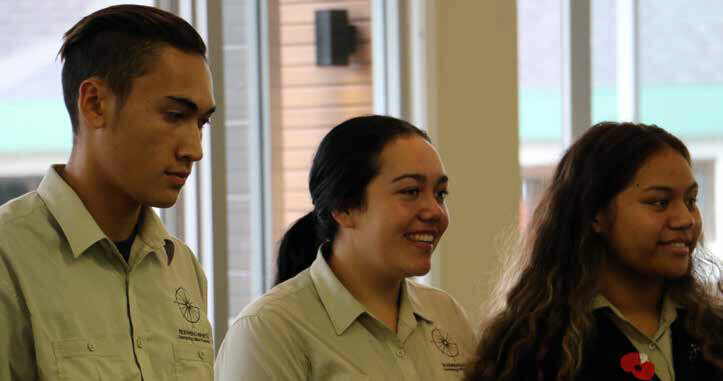 The Kura’s Pou Arahi attended the World Youth Indigenous Summit hui in Rotorua that started on June 1. The three-day summit featured workshops, presentations and guest speakers from the around the world. The hui was an opportunity for young people to share ideas, be inspired and learn from one another. While at the World Youth Indigenous Summit hui our Pou Arahi met a rōpū of First Nations people and invited them to Tai Tokerau. The rōpū took up the offer and spent Queen’s Birthday weekend as guests of the Kura. While here they travelled and shared some of their culture with our ākonga. Arohanoa Tipene went to the 2016 New Zealand Kyokushin National Tournament in Wellington on May 21 where he came second in the 14-15 year old division. Here he is pictured (second from the right) with some of his mates from the Kura. The Kura Hourua Authorisation Board visited on June 15. The board advises the Minister of Education which applications for Partnership Schools should be approved. It is also responsible for monitoring Partnership Schools like TKW. Board Chair Catherine Isaac is pictured talking with one of the Pou Ako, Matua Chipo. 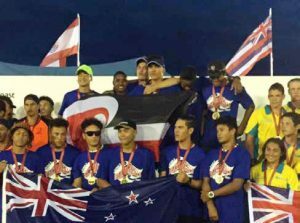 Two of the Kura’s Paetawhiti boys won gold at the Waka Ama World Sprint Champs in Australia during May. Paddling with their club team The Fat Oysters, Tane Heta (second from the left on the bottom row) and Kewene Edmonds (fourth from the left on the bottom) won gold in the V12 500m, silver in the V6 1000m and bronze in the V6 500m. 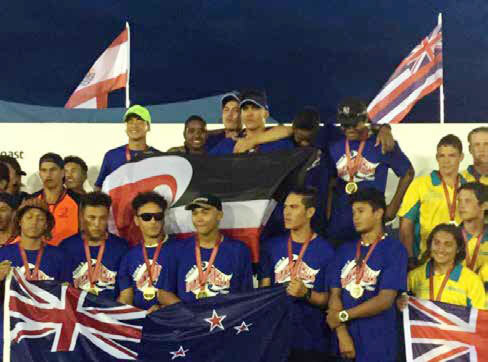 Papa Ralph (pictured inset) also paddled at the worlds with his club team – Vaka Manu masters. 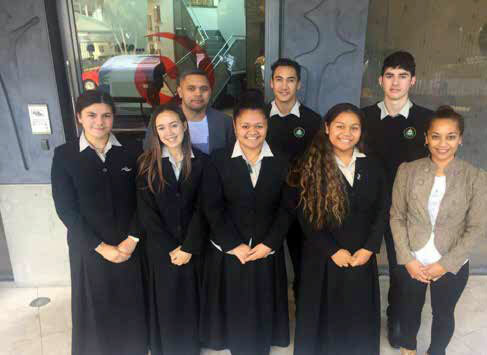 Rangatahi Inc, the business studies students, went to a conference called Powering Up the Tai Tokerau Economy in Kerikeri on May 18. Hundreds of business, economic, social, central and local government, and iwi authority representatives attended. 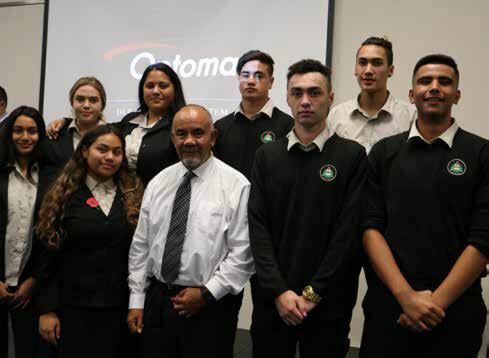 Māori Development Minister and Māori Party co-leader Te Ururoa Flavell was the guest speaker. 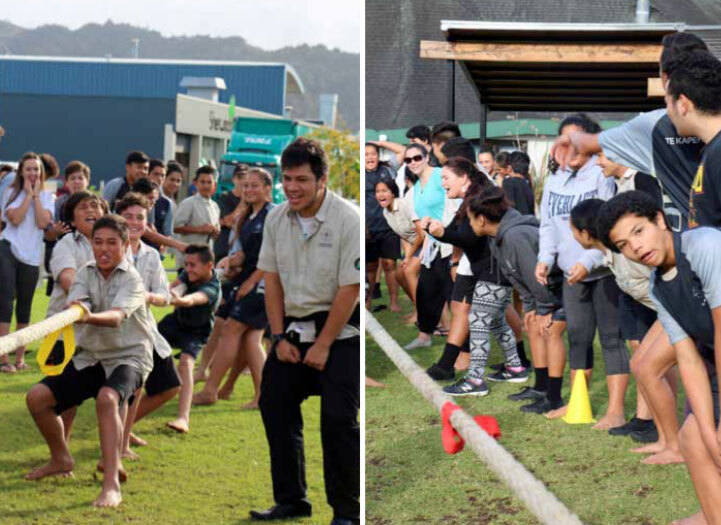 Te Kāpehu Whetū was the inaugural winner of the Battle of the Fittest school competition organised by NorthTec. Ten ākonga from the Kura took part in the competition on May 30 against Tikipunga High organised by the sport and recreation students at NorthTec. The ākonga competed in five fitness challenges designed to test their strength, endurance, power, agility and coordination. 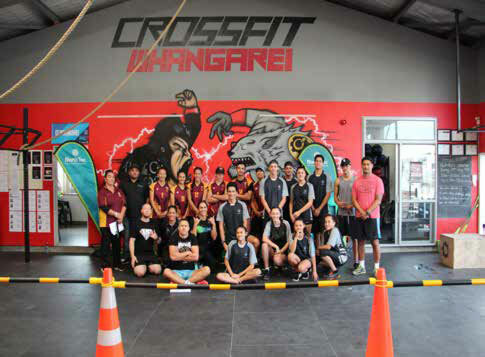 The events were coordinated across a number of gyms and fitness centres in Whangarei. TKW ākonga Huia Shortland (first photo, right hand side) and Caleb Rawson (far right) entered a couple of music competitions during May. Huia, with her cousin Izaia, entered and won the duo section of the Northland Smokefree Rockquest. Caleb and his brother Josh entered the E Tū Whānau song competition – as did Huia and Izaia. While neither placed in the E Tū Whānau competition, Huia and Izaia have a chance to go to the national finals. Both Josh and Izaia are former students. 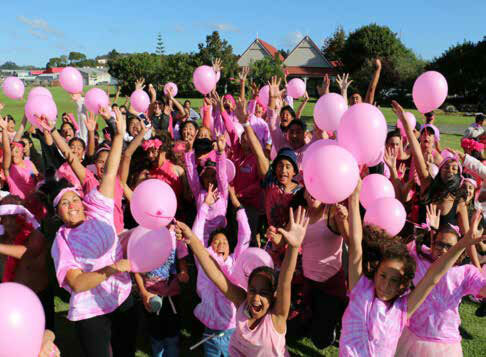 TKW ākonga turned out in force to support the anti bullying kaupapa on Pink Shirt Day on May 20. The Kura encouraged all ākonga to dress in pink for the day, had a number of displays about what to do about bullying, and walked the Hatea Loop en masse as part of their tautoko. During the Paerangi Whānau hui in the first term the Kura surveyed parents about their priorities for their tamaiti based on our three pou. The results are presented for your information. 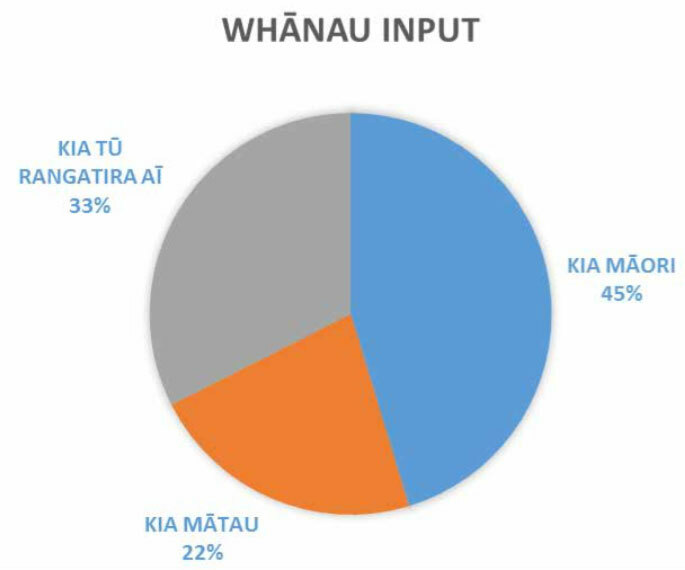 Kia Tū Rangatira Aī: My tamaiti operates ethically with mana and integrity. Our three pou align with The Ministry of Education’s principles.